After evaluating 126 new minivans, SUVs, and cars, in the categories of reliability, cargo volume, seating space, safety, and suite of family friendly features, the editors deemed the Cadenza’s attributes worthy of the top honor. The 2018 Kia Cadenza is available at three trim levels —Premium, Technology, and Limited. Each trim is equipped with a powerful 3.3-liter V6 engine matched to Kia’s electronically-controlled eight-speed automatic Sportmatic® and Smart Shift & Drive. The powertrain generates 290 horsepower and 253 lb-ft of torque, and earns an EPA-estimated fuel efficiency of 20 mpg in the city, 28 mpg on the highway, and 23 combined. 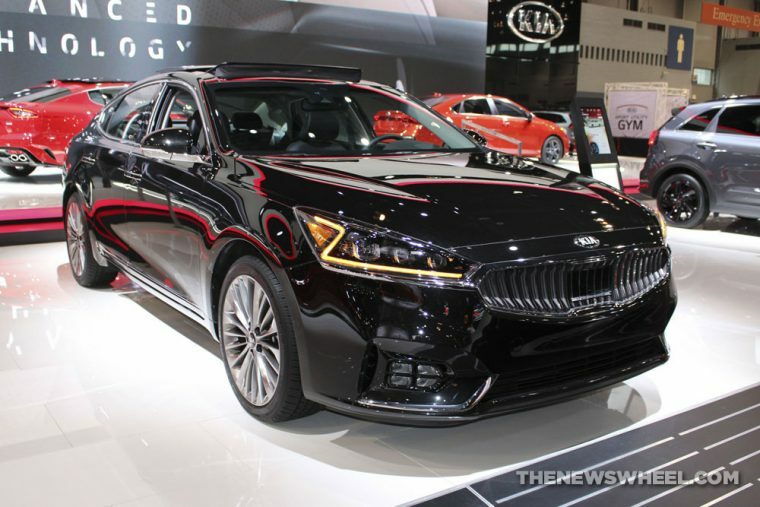 The 2018 Kia Cadenza also features available driver assist technologies such as Blind Spot Detection (SBSD), Lane Change Assist (LCA), Rear Cross Traffic Alert (RCTA), Forward Collision Warning System (FCWS), and Rear Parking Assist System (RPAS).